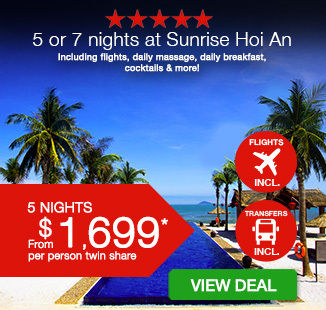 5 or 7 nights at Sunrise Hoi An with airfares, daily massage, daily breakfast, cocktails & more! 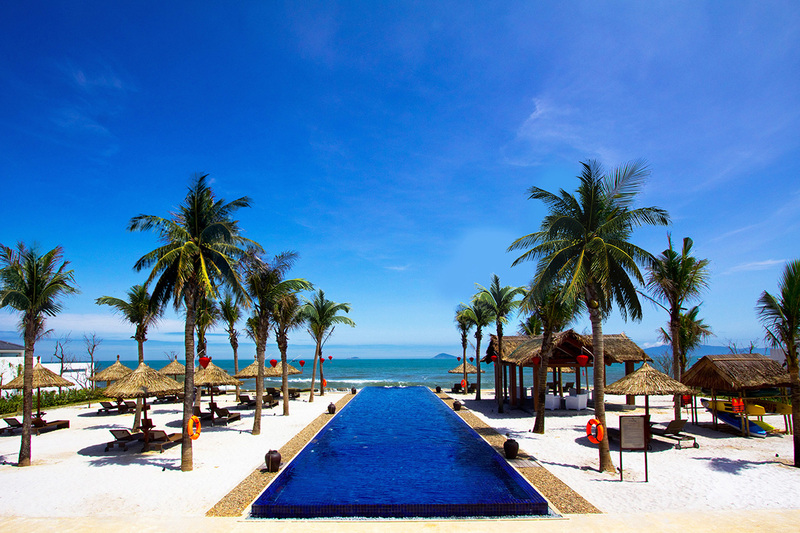 Positioned on the stunning Cua Dai Beach, Sunrise Hoi An is a luxurious paradise offering enchanting views and unrivalled luxury. 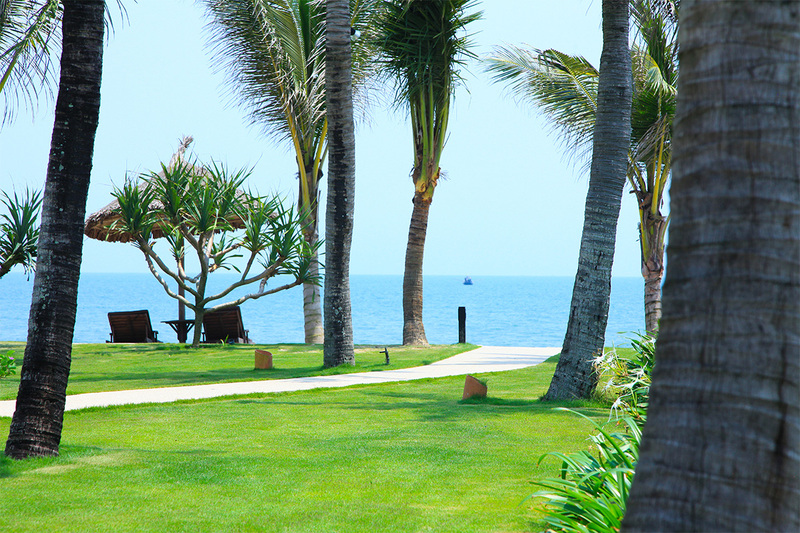 Visit this lavish beachfront escape to experience the very best of Hoi An and its rich and beautiful culture, landscape and hospitality. 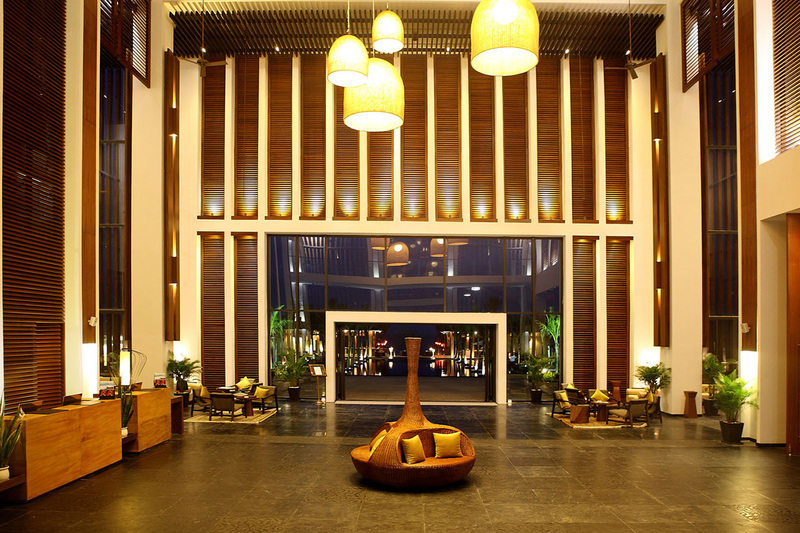 The resort offers a day spa, fitness centre and 2 glorious swimming pools, hand-crafted to cater to relaxation and comfort. 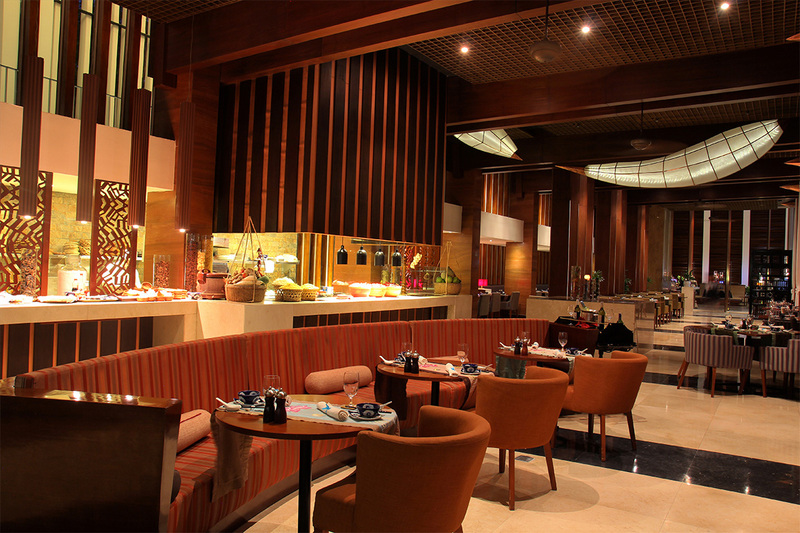 A choice of dining venues offers a delicious variety of cuisines plus fantastic activities and facilities ensure you’re never short of something to do! Your package includes return international airfares, daily massage, delicious buffet breakfasts daily, return airport transfers, daily cocktail and more! 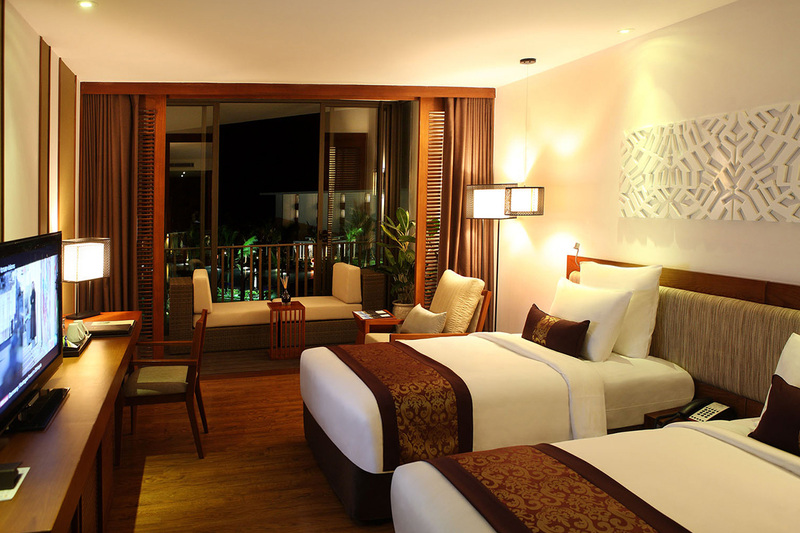 The Deluxe Room offers 40sqm of spacious style, sleek interior, King or twin beds and private balcony. Blackout Dates: Please refer to availability calendar. 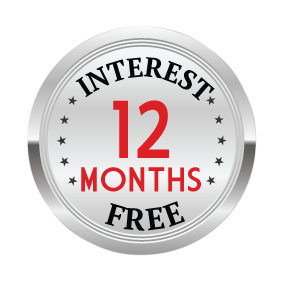 High Season Surcharge: $20 USD per night applies over following dates, 30 April 2016 – 1 May 2016 & 31 August 2016 – 2 September 2016 & 24 December 2016 – 10 January 2017. 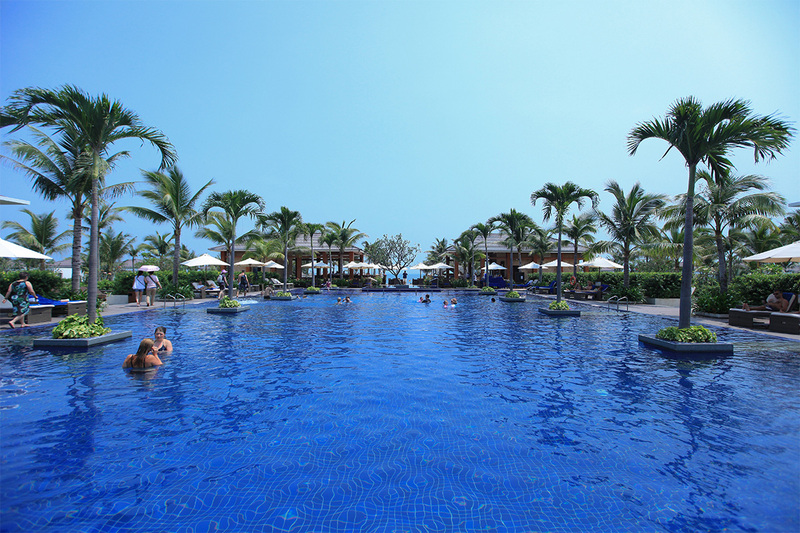 Payable direct to Sunrise Hoi An upon check in. Return economy airfare with Jetstar, Singapore Airlines, Malaysia Airlines, Vietnam Airlines or similar departing Brisbane, Sydney, Melbourne, Adelaide or Perth. If promotional fares are not available on the dates of your choice, you can opt to pay an airfare surcharge or choose alternative dates. This surcharge can vary based on availability and our Customer Experience team can advise you when making your booking. Bookings cannot be made without the following information – Full Names, as per passport/drivers license details, Date of Birth. Please ensure you have your passport/license available when you call to make your booking. 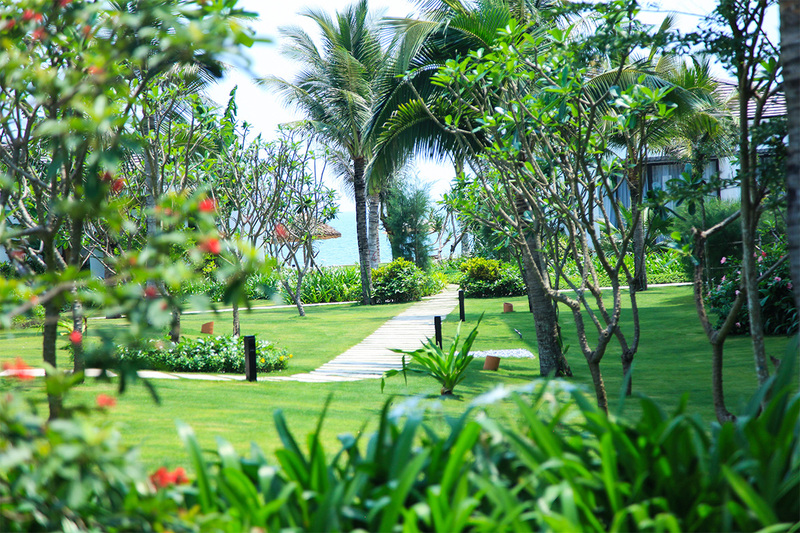 Your stay at Sunrise Hoi An is subject to availability at the time of your booking. We advise you to book early to avoid disappointment.